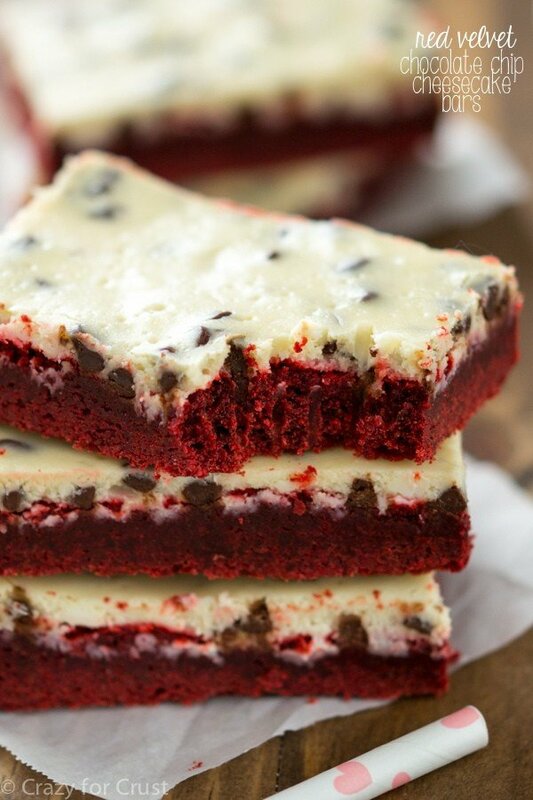 Oreo Red Velvet Cookie Bars – an easy blondie recipe full of red velvet cookie flavor filled with Oreos and chocolate! It’s been a rough week you guys. A this time last week I was heading to San Francisco to host a girls weekend with some of my favorite blogger friends. I spent the weekend showing off my favorite city, eating way too much food and overindulging on martinis. This week has been spent on rather mundane things like house duties and, well, work. BORING: I’d rather be spending my days lunching with the ladies and talking about, well, anything but doing what I have to be doing. Is it me, or is that pretty much the definition of being an adult? Doing things we have to do all day long instead of things we want to do? Tween drama aside, being a kid was way easier. Although I think that maybe being an adult can be more fun, especially when you get to spend weekends with women you consider like sisters. That all is a long winded way of saying that my brain still won’t work right after my weekend and I’m just trying to buy time writing something interesting today…so let’s talk about these bars before you completely get fed up and click away, mmkay? These cookie bars start with my favorite blondie base. 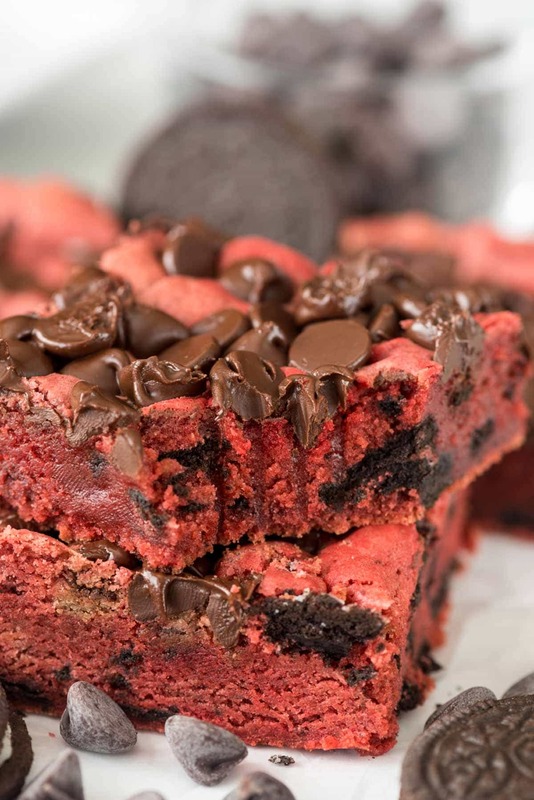 I made them into red velvet like I did with my red velvet blondies by adding some cocoa and red food coloring. 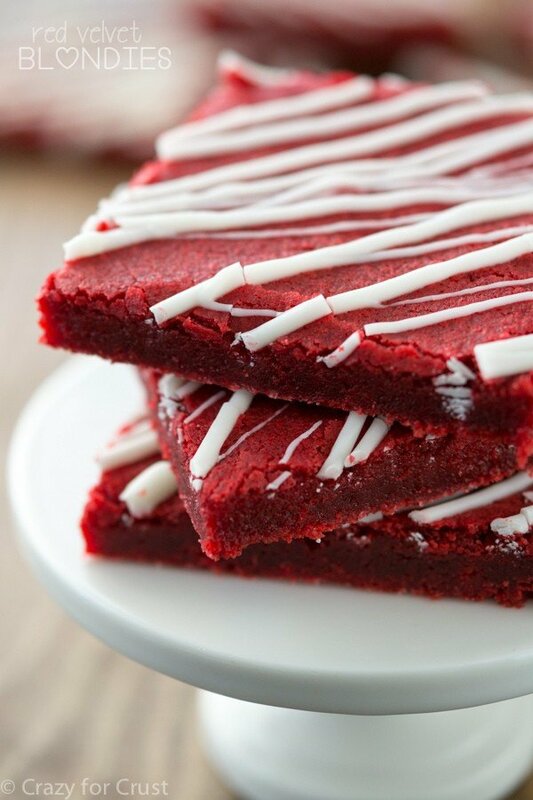 They’re super gooey and thick and rich and they have the perfect touch of red velvet flavor. I decided that they also needed chocolate because, duh, doesn’t everything need chocolate? A healthy dose of chopped Oreos gets added to the batter and then I sprinkle them with chocolate chips before baking. 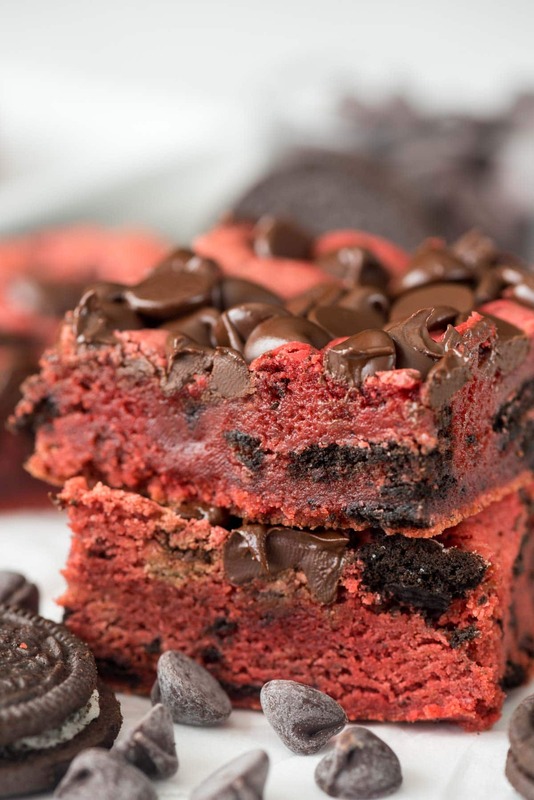 The result: an ooey gooey Oreo red velvet cookie bar that’s also super chocolatey! 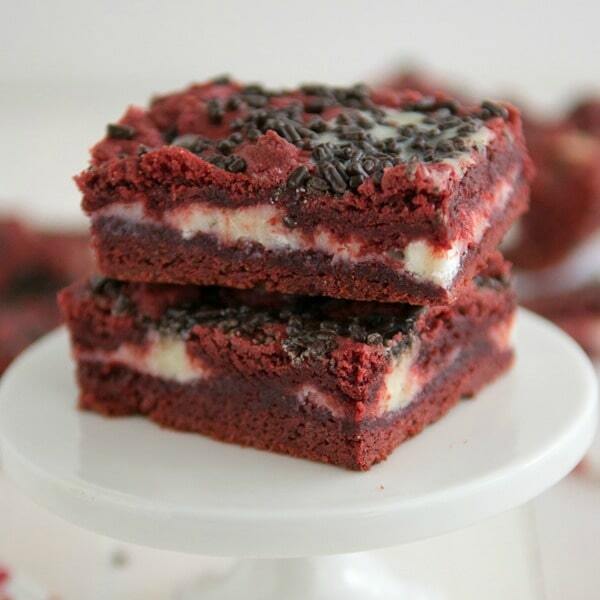 Oreo Red Velvet Cookie Bars - an easy blondie recipe full of red velvet cookie flavor filled with Oreos and chocolate! Cream brown sugar and butter in the bowl of an electric mixer fitted with a paddle attachment. Add eggs and vanilla and beat until combined. Add cocoa, baking powder, salt, and flour and mix. Carefully mix in red food coloring, then stir in chopped cookies. Press into prepared pan (dough is sticky, spray your hands with cooking spray to avoid it sticking to your hands). Sprinkle with chocolate chips. Bake or about 22-24 minutes. (Be careful not to overcook - the center will still be jiggly when you take these out of the oven and they will finish cooking and firming up as they cool.) Cool completely before slicing into squares. Your cookies recipe is good I need one favour of you can you please help me out? We don’t eat egg is there any optional thing which i can use n how much I can use for it? Your reply is valueable to me. You could try 1-2 tablespoons of milk but I’m not sure how they’ll turn out. Oh wow that looks tasty.